Did you know spring means strawberry season in Korea? You can visit a strawberry farm and pick your own fresh strawberries and even make jam or cake there. 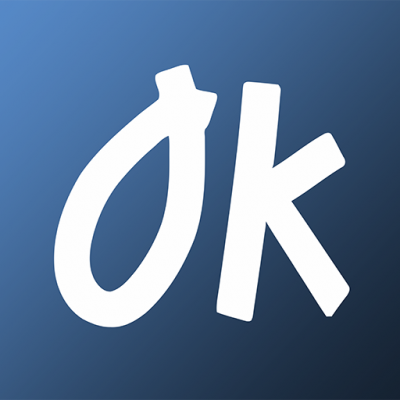 An interesting and fun experience especially for families. And we can assure you, Korea’s strawberries are the juiciest and tastiest strawberries you probably have ever eaten. 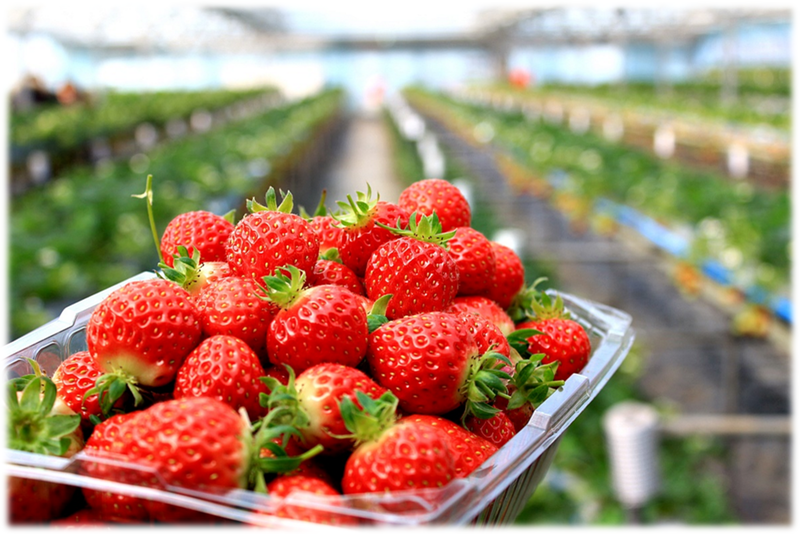 Spring in Korea: The most juicy strawberries are awaiting you! 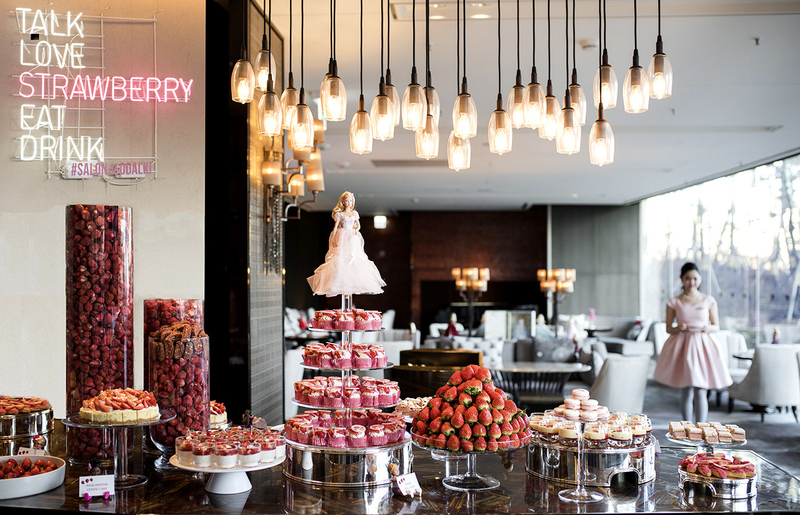 Or if you want to treat yourself or your loved one to a unique and luxurious strawberry experience, we recommend visiting one of the strawberry buffets that Hotels all over the country are holding. You can eat as many delicious desserts made of strawberries as you want! Korea is famous for its mesmerizing cherry blossoms. In spring, the whole country is covered in pale petals for a few days. The most popular spot for seeing the cherry blossom in full bloom is Jinhae in the South of the country. The pink paradise is said to be the country’s most beautiful shade and attracts visitors from all around the world. 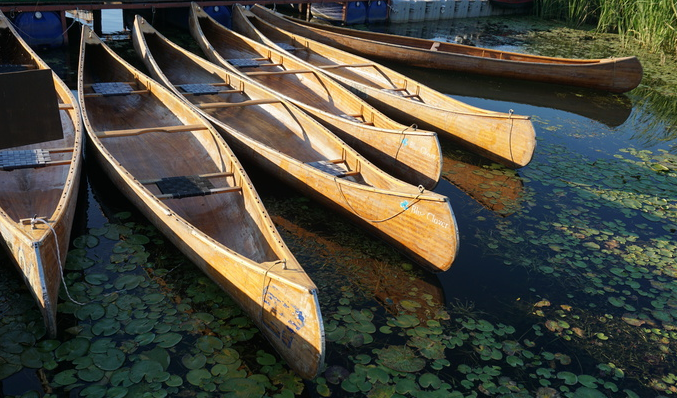 Wouldn’t you agree that great landscapes combined with fun outdoor activities make a perfect day? Chuncheon is famous for its’ stunning nature with countless lakes and islands. No wonder it’s such a popular spot for canoeing that Runningman and We Got Married are often filming here! 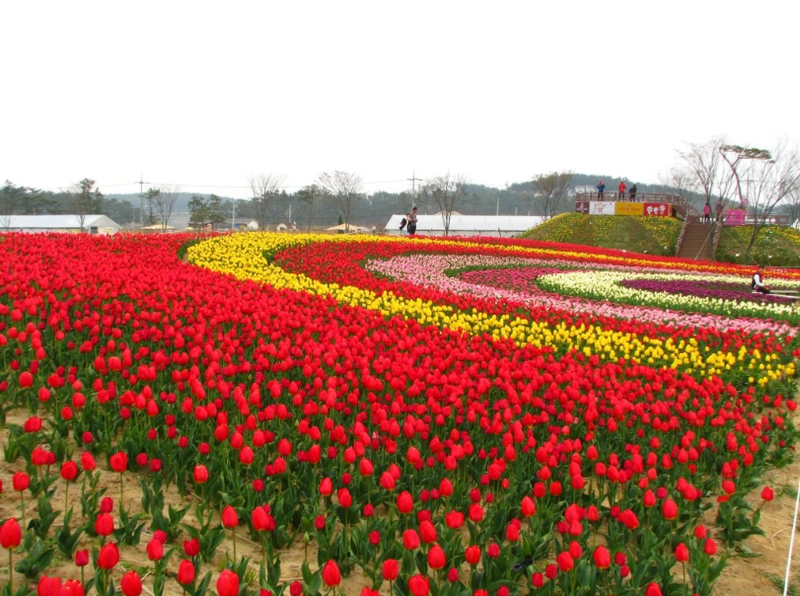 Every April, the TAEAN Tulip festival attracts thousands of visitors. The beautiful and award-winning tulips are artistically arranged over a huge area. Famous landmarks such as the Eiffel Tower, pyramids and windmills in tulip form and the sheer endless flower fields will surely leave you speechless. 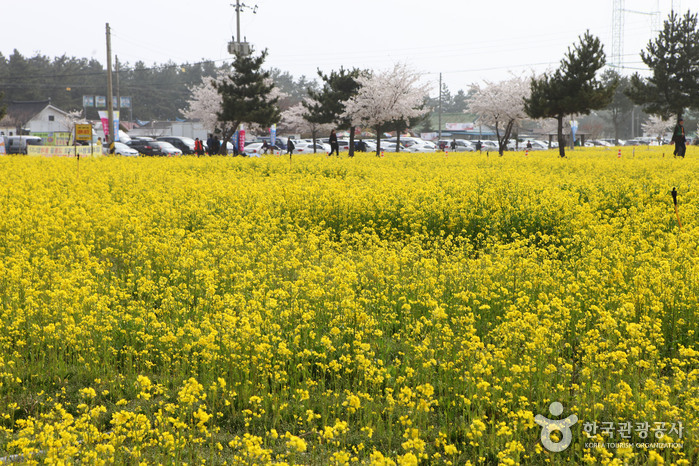 The Canola Flower Festival is one of the landmark spring celebrations in Korea. It takes place every April and provides stunning views of canola flowers, cherry blossoms and the crystal clear East sea. You can choose between various fun events such as strawberry picking, visiting a local market and much more. Jeju Island is unarguably the most beautiful part of Korea. The Island is the Number 1 spot for Korean honeymoons. You can relax on beautiful beaches, hike on majestic mountains, discover off-the beaten tracks and much more! The local cuisine is definitely worth an experience as well. Luckily, spring is said to be the perfect season to visit Jeju Island. It is warm enough to relax on the beaches but not too humid. 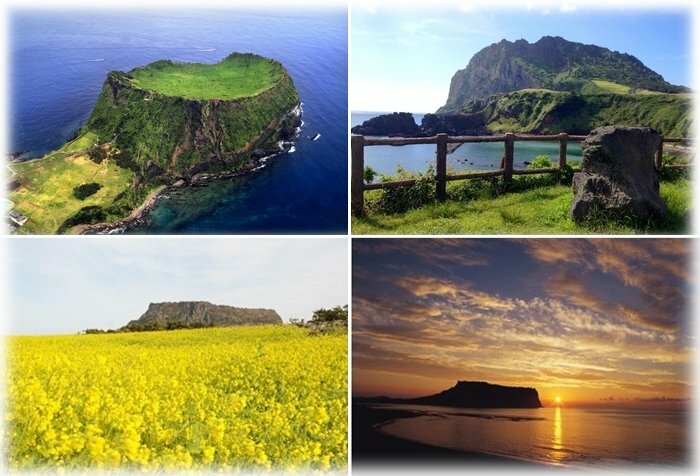 If you have the chance, we highly recommend visiting Jeju Island in spring! Boseong is one of the most beautiful, undiscovered parts of South Korea, especially in the early spring and then in the fall when it is harvest season. 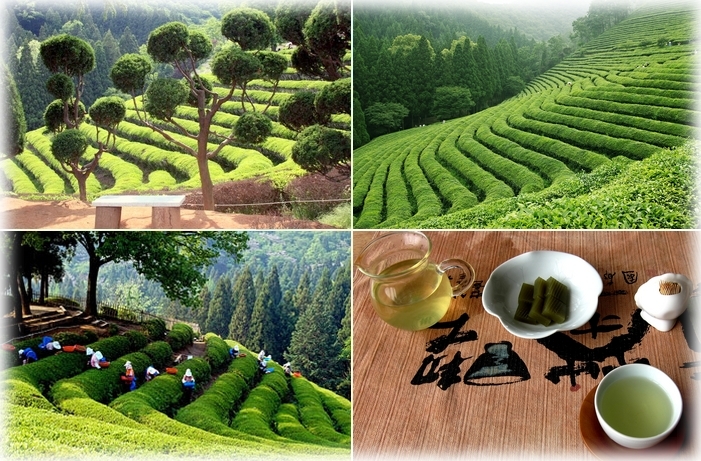 It is a picturesque area filled with rolling hills that are all used for growing tea. Moreover, the area features many food stalls which use green tea as main ingredient in their dishes. Perfect for Matcha Lovers! The unique event takes place only once a year. 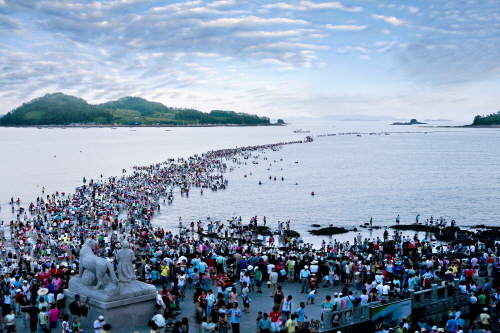 The sea between Jindo Island and the Korean coastline mysteriously parts and allows visitors to walk through the sea to the island. About half a million from all over the world flock here to watch this unbelievable event. Spring in Korea: Visitors walking over the sea! 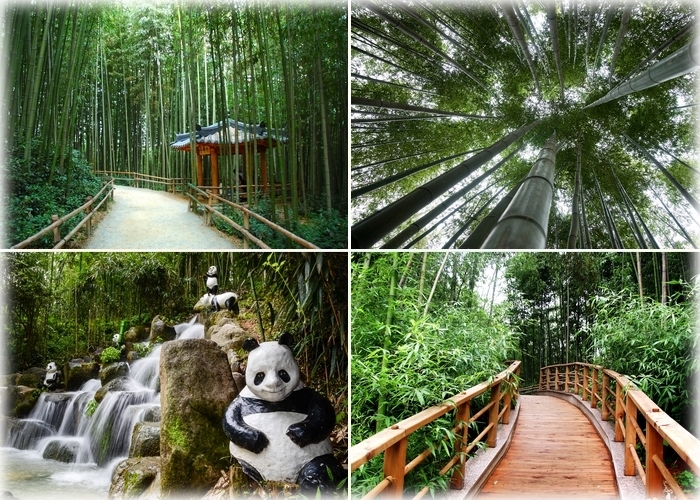 Damyang’s famous Bamboo Garden features a waterfall, pavilions, panda sculptures, an old Confucian School and a Bamboo Ecological Exhibition Hall. (Showcasing bamboo handicrafts and a small snack bar). While walking in this forest, people are awestruck by how high bamboo trees can grow! It takes about 1 hour to visit the entire garden and the forest provides a fresh feeling during hot summer days. The beautiful Han River is a landmark of Seoul as It is parting the city almost equally in 2 parts. 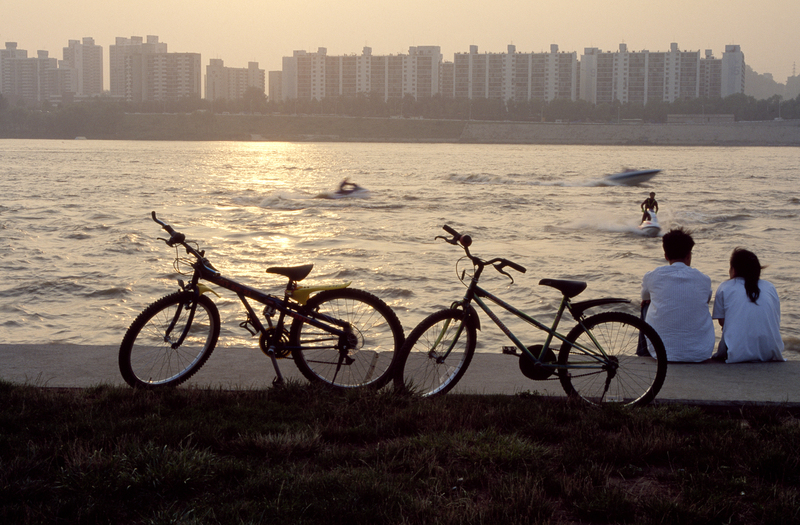 For Korean, Han River is a hot spot for dating, biking, boat trips and having picknicks. Especially in the beautiful spring weather, people gather here to enjoy their weekends. The countless parks around Han River are oases of calm and relaxation withing the busy city. Click here if you want to combine a trip to Han River with the Canola Flowers, Rainbow Fountain and more!